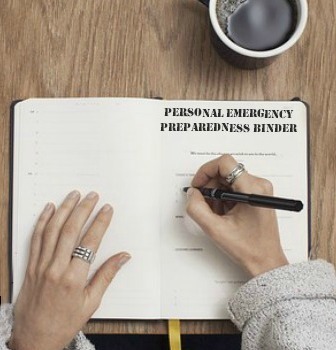 This week, the self-reliance report is about the resources and strategies I’ve used for setting up a prepper’s homestead quickly and inexpensively. A lot of research went into swapping environments – I moved from a low country rather dry farm to a cabin in the mountains to set up a homestead in the forest. As always, I followed a thrifty budget to get things done. I recently spent a great deal of time searching for the perfect prepper’s retreat. This article discusses my search and offers some tips for finding your own perfect retreat. If your plan is to rely on your homesteading ability to survive when the S hits the Fan, it’s essential to get started now. There’s a steep learning curve and many will fail. Following, find a collection of some of the most interesting prepper resources around right now. 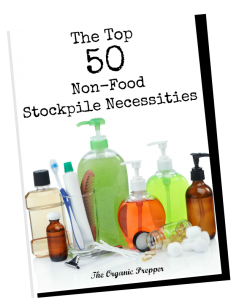 Have you read my book on building a whole foods pantry on a half price budget? Find it here. Be warned if you’re trying to simplify: HUD wants to make living in a tiny house or RV illegal. The past couple of weeks my focus has been getting my new homestead set up as quickly as possible. Here are the resources that I found pertinent. The first two projects were fencing for my dogs and shelter for my chickens. I was able to acquire a lot of the supplies for free just kicking around the shed of the place I rented (with the landlord’s permission, of course). I had to purchase a couple of gates for the fences and my handyman put together this super-cool swingset chicken coop from almost entirely found items. (I used some of the tips from this guide to make my coop predator-resistant.) Just for fun, here are some beautiful, inspiring coop designs. In the midst of moving chaos, my baby chicks arrived. This time around I went with freedom ranger meat chickens. There are some differences when raising meat chicks vs. laying hens but between this article and this book, I was able to find the necessary information. My brooder did not arrive before the chicks, so they lived in my bathtub briefly. (Thankfully just for 2 days!) In a couple of weeks, I’m going to build them this little “playground” outside. I’m considering trying my hand at straw bale gardening this year. This article has me almost convinced, so I ordered the most recent edition of a book by the man credited with creating the concept to learn more about it before I commit. I’m also planning to put up some of these bamboo and twine teepee trellises in my garden area. I have all of the supplies on hand. This weekend will be dedicated to starting my cool weather seeds in the kitchen. I can’t wait to make these festive buntings to decorate my garden fence. We survived the unthinkable. We went without internet or a phone connection for 8 days. *shudder* I really enjoy researching and blogging, so it was difficult to be so disconnected. However, it was probably good for the entire family. I got most of the house unpacked, we enjoyed some unplugged together time, and I did a lot of reading for sheer enjoyment. This is our dog, Bella, checking out the creek in our backyard. As I wrote above, the baby chicks arrived before my brooder, so I had to house them in my bathtub for a couple of days. They are Freedom Rangers, which are meat birds, so they grow quickly and eat an astonishing amount of food. Once the brooder arrived, our dog creepily stared at them non-stop. I’d like to think she is guarding them, but the more likely reason is that she’s dreaming of chicken nuggets. We got to see our Livestock Guardian Dog in action for the first time. I happened to be standing at the kitchen sink, cutting up veggies, when I heard a frantic squawk from one of my chickens. I looked out the window just in time to see 160 pounds of angry teeth and fur rush the fence. The silly chickens were outside the pasture (although still on my property) and the neighbor’s two pit bull dogs decided they would enjoy a nice chicken dinner. Thor had other plans, however. I was in awe at the fury he displayed, and apparently, so too were the roaming dogs. All 3 errant chickens escaped the jaws of death and the pitties turned tail and fled. Hopefully they learned a lesson and won’t be back. I was so impressed with Thor! Of course, I’ve seen him bark protectively and display territorial behavior, but I’d never seen him in full guardian mode and it was a sight to behold. Here’s a photo of my gorgeous boy in his new backyard. What’s going on at your farm or urban homestead right now? How’s the weather in your area? Please share your updates in the comments below!